This theme-based resident fellowship program, established with the support of the Ahmanson Foundation of Los Angeles and the J. Getty Trust, is designed to encourage the participation of PhD scholars in the Center's yearlong core program at the University of California, Los Angeles Center for Seventeenth & Eighteenth Century Studies. This award provides a $37,500 stipend for the academic year. Eligible applicants must be scholars who have received a PhD in the last six years and are engaged in research pertaining to the announced theme. Fellows are expected to make a substantive contribution to the Center's workshops and seminars. Awards are for two academic quarters in residence at the Clark. Please see the fellowship website for an application form and deadline. The Alexander von Humboldt Foundation's (AvH) German Chancellor Fellowship program allows the fellowship recipients to carry out a project of their own design in cooperation with a German host. Applicants design individual research-related projects tailored to their professional development and goals. Candidates from all professions and disciplines (especially individuals in the humanities, law, social sciences and economics) are eligible to apply for the fellowship. The Humboldt Foundation grants up to ten German Chancellor Fellowships annually for prospective leaders from the U.S., the Russian Federation, and the People's Republic of China, with an award including funding for research and travel expenses. Candidates must be citizens of the U.S., the Russian Federaton, or the People's Republic of China, and must possess a Bachelor's degree by the start of the award. A command of German is not a prerequisite. This fellowship has an application deadline of mid-October for U.S. citizens. For more information, please visit the fellowship's website or e-mail [email protected]. The Alfa Fellowship Program is a high-level professional development exchange program that places qualified young professionals in work assignments at leading organizations in Russia in the fields of business, economics, journalism, law, and public policy. The program accepts ten U.S. citizens and five British citizens each year. Key goals of the Alfa Fellowship Program include expanding networks of American, British and Russian professionals; developing greater intercultural understanding; and advancing U.S./Russian and British/Russian relations. The program includes language training, seminar programs, and extended professional experience. Fellows receive travel, free housing, monthly stipends, and insurance. Eligible students must be between 25 and 35 years of age by the application deadline. Students must also have a graduate-level degree or equivalent training in business, economics, journalism, law, public policy, or government, and at least two years of relevant work experience. Russian language proficiency is preferred, and candidates with proficiency in a second language will also be considered. The application deadline is in early December. For more information, please e-mail [email protected]. If you are interested in applying for this scholarship, please call the Office of Merit Awards at 202-885-1854 to schedule an appointment with a Merit Awards advisor. The American Chemical Society awards renewable scholarships to underrepresented minority students who want to enter the fields of chemistry or chemistry-related fields. 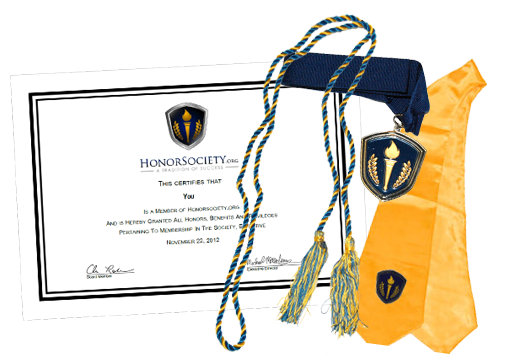 Awards of up to $5,000 are given to qualified students based on academic standing, financial need, career objective, leadership skills, and involvement in school activities and community service. Applicants must be African-American, Hispanic/Latino, or American Indian, U.S. citizens or permanent residents, and must have demonstrated financial need with a grade point average of 3.0 or higher. Applicants must be freshmen, sophomores, or juniors studying chemistry, biochemistry, or another chemically-related field, such as environmental studies. Students planning on careers in medicine are not eligible. The scholarship deadline is in early March. For more information, please contact the American Chemical Society Scholars Program by phone at 1-800-227-5558, ext. 6250 or visit the scholarship website. The American Institute for Economics Research awards a dozen or more Summer Fellowships each year to students who will be entering a doctoral program in economics or affiliated program (e.g., law and economics, economic history, etc.). Applications from students enrolled in such programs for no more than two years are also welcome. The program is not designed for students wishing to pursue graduate work in a business school program. Summer Fellows come to the Institute for a four-week period of study and are provided with room and board plus a $500 per week stipend. Summer Fellows participate in intensive seminars in economic, social, andmonetary issues. The application deadline for this fellowship is in late March. For more information, please e-mail [email protected] or call 1-888-528-1216. The American Research Institute in Turkey (ARIT) Kenan T. Erim Fellowship for Archaelogical Research at Aphrodisias supports excavation and/or research in art history and archaeology to be carried out at the site of Aphrodisias in Turkey during the summer. Scholars or advanced graduate students engaged in excavation at the site of Aphrodisias or research on material from that site are eligible to apply. Fields of study include the history of art and architecture from antiquity to the present, and archaeology. Applicants may also qualify for other ARIT fellowships programs. The maximum grant is $2,375 for the summer season. This fellowship has an application deadline of early November. For more infromation, please see the fellowship website.